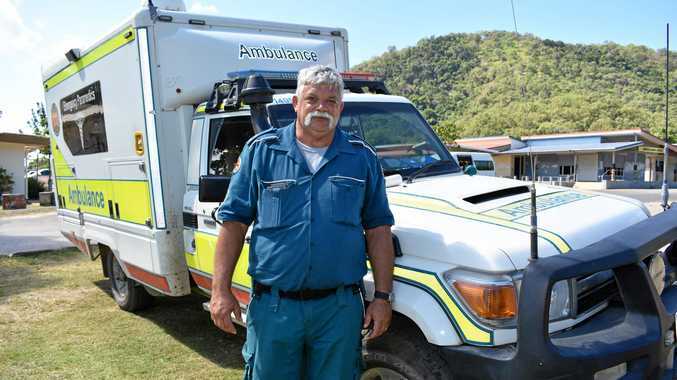 VICTOR Hewitt is the new officer in charge of the Palm Island Ambulance Station. The 54-year-old had been in the job just over a week when Big Rigs caught up with him in late April. "I have been in the ambulance for about 13 years and have been at Charters Towers station for the past four,” he said. Mr Hewitt said he was enthusiastic about the job and serving the people on Palm. "I love it here and have seven workers at the station,” he said. Born in Wollongong in NSW, Mr Hewitt said the Toyota Landcruiser he had was multi-purpose. "It has a module on the back and room for a stretcher and people can be treated in it,” he said. As a bonus the vehicle can go off road, which is a big advantage on Palm. "We can do beach recoveries and other off-road work,” he said. Mr Hewitt is a keen St George supporter in the NRL. At Charters Towers, Mr Hewitt said the ambulance station was said to be haunted.